Known to the world as Ope Teflon for his amazing hits such as ‘Eja Tutu’, ‘Bend Down Low’, and ‘Mujojo’ to name a few. The singer-songwriter has now reincarnated as ‘Teffy’, but still promises to deliver with great music. 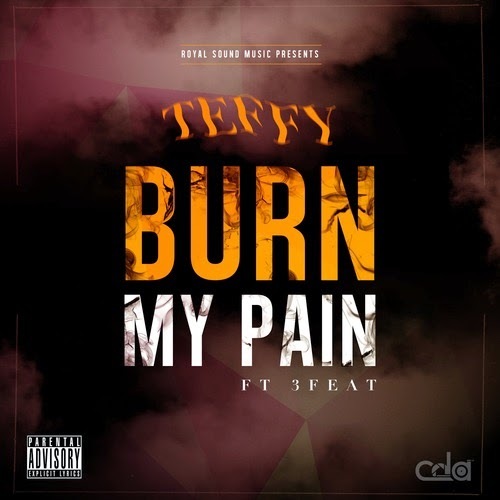 After a 10-month-break, Teffy returns with ‘Burn My Pain’ featuring Creative Elevations' 3feat, where he takes us an emotional roller coaster as he sings about losing his Father, where his been and what he's doing. ‘Burn My Pain’ is a teaser of what's to come from Teffy within the coming months and what we can expect from him on his new forthcoming project - ‘Exposed Thoughts’, the mixtape.